So originally for my casual game (the proposal here) i wanted to make a brick breaker style keep the ball up and hit targets football themed game relevant to the stick man kick ball flash animation aboveflash, i was having alot of issues with the coding for this in the form of levels and the collisions in the targets code. Due to thinning time and frustrations hitting a new level i decided it would be best to put this to one side and pursue it in the summer. By doing this i obviously needed a new casual game for my module briefs so i went down the path of a tower defense game, this tower defense game would be styled on many other tower defense games which involve a maze for the enemy to try get from start to finish but you stop them using turrets or methods of some sort. 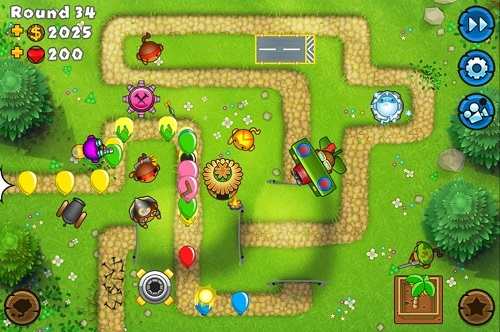 Games like this include Bloons tower defense series which is a hugely popular and now multiplayer game with micro transactions features various monkeys which pop balloon’s using everything from darts to plasma laser super monkeys. Heres some more examples of different and popular tower defense games at casualgirlgamer. So i wanted a tower defense game with a maze and varied difficulties of enemies and a few levels nothing huge or complex but a challenge. The game would need a money value to place the turret onto the game and therefore a money gain function when an enemy died and dependent on the level the higher the money gained. the turrets would have range if i could find a way to show that maybe a hover over radius or click to select tower. obviously a limited amount of levels and lives so the game is both there to win and lose with a reset button on the win/lose screen. the turrets need to fire bullets at the enemies perferably lock on so its not impossible which then means health of the enemies is considered and bullet damaged to that health which will alter with level of enemy. if i have time id like to make different maze levels and possibly more expensive better turrets. I used a tutorial online at FlashGameTuts to get me a focused on how to program a tower defence game, as we are not here to be master programmers but it helps to understand and be able to work with code. This tutorial was very useful it wasnt spoon fed in all case you had to find and place the code given in the right areas making sure you had everything named correctly matched going to the right areas etc. there was no asisstance if you had done something wrong which allowed you to really read into the code over and over to make sense of what you had to find the problem. 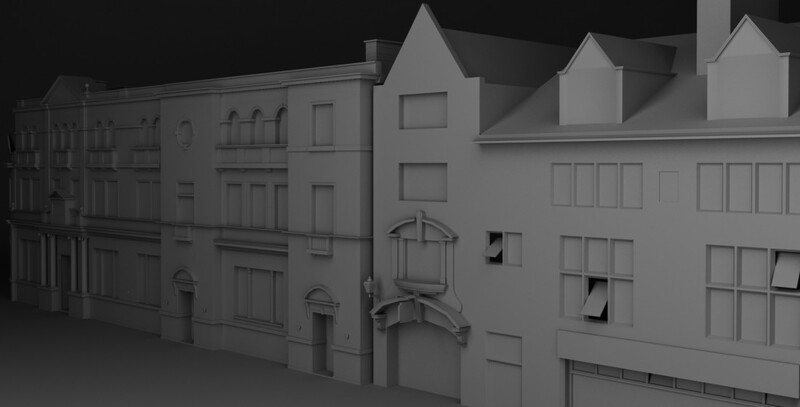 I really got far with this tutorial with no compiled errors shown up but as i knew flash wasnt going to be nice to me all the way and i came to a stop mid way through the tutorial. The reason for this was that the coded dynamic text in the user interface at the bottom (hud) which displayed money, lives, level and enemies left, what it was sopposed to do was to display the actual value and then when you did an action that directly affected one of them it would decrease e.g. to place a turret its £20 you start with £100 but instead of displaying 80 it just vanished this happened with each of the dynamic texts. this was the first of the problems it also when winning or losing was sopposed to divert to a win/lose page but soon as this was triggered it flashed between the 2 uncontrollably until you clicked to reset the game. The win/lose slide was a massive issue most flash users will relate to me when i say Capital letter instead of lower case was the issue, so it was easily solved but such a minor mistake will break the script. Despite that i check and checked the code to the given code and it was identical my tutor Paul also looked over it and couldnt find any issues which ultimately said why is it not working then. Using trace ( ) coding to track what the function you are tracing is doing showed no change or issues so the problem was unidentifable. Hitting a dead end i noticed he had set his timeline out differently to me this shouldnt have mattered at all confirmed my tutor as the scripting and keyframes used are the same its just the layout, despite this i decided to restart and lay the timeline out this way and it worked so i was allowed to progress. I then went on to finish the game finally putting in harder enemies and level plans so with frustration, stress and hardwork i had finally completed my casual game. To make sure that it was not just a straight copy i made sure i tailored features of the game to my own specifications. This included the dynamic text user interface was chosen by myself in wording and colouring, the inclusion of a win/lose frame was my own wording and colour, the main one which was the levels was all my own specifications i decided the spawing of the enemies in amounts,order, level, difficulty and speed. I decided to alter the code for the amount of lives from 20 to 1 so you only get one chance making it tactically more difficult and challenging, i altered the amount of money gained from defeating an enemy the original value was 5 per enemy per level but i changed it to 1 per enemy per level e.g. level 1 kill=1money then level 5 kill= 5money and so on so less money gained upped the difficulty and decreased the amount of turrets you could possibly spawn on screen. This was all down to fine tuning i played the game over and over making it harder then easier altering starting money to amount of lives or money earned it was a tweaking process but it gave my game my own personal touch to it. I would like to if i have time create another level with a different maze and possible research into having a health bar above the enmies so i can really tweak it to be addictingly close to winning, but this is all time dependent. Im currently in the process of uploading what i have online as my game so i have a shipped game. Thanks to David Smith for being a games tester giving peer assessment so i could focus on gameplay alterations. Categories: Casual Games, Games Design: Introduction | Tags: Adobe Flash Professional, Brief, Casual game, PHASEgaming, progress, Scripting language, tower defence, Video game | Permalink. In casual games we have just done a lesson which was our first lesson using Adobe Flash Professional (more information on previous blog post). This use of software was useful for us not only for our Casual Games project but our actual flash timeline, but purely focusing on our Casual Games topic we have been asked to produce a brief proposal on what casual game we would be making in flash. To make sure I had my ideas on the right track I had to go back over my previous research on casual games to reinforce what exactly was a casual game and the requirements to make one. “Developed for the general public and families, casual games are video games that are fun and easy to learn and play. The games are platform agnostic, meaning they can be played via the Internet, Facebook, PC, and Macintosh computers, Xbox, PlayStation, Nintendo DS, Wii and even mobile phones, iPhone and PDA. They’re nonviolent, arcade-style games that involve puzzles, words, board and card games, game show and trivia. Popular games are Mah-jong, Tetris, Solitaire, Bejeweled, Mystery Case Files, and Farmville.”-Casual Game Description http://www.casualgamesassociation.org/index.php. With this in mind I have to now find an idea for a casual game of my own to produce in flash. My previous lesson in flash involved me using a stick man to spin and kick the bouncing ball away so I originally thought it would be a good idea to do a stick man fighting game with wasd to fight and the arrows to move with space to jump, but then obviously I had neglected that a casual game is nonviolent and clearly a fighting stick man game is violent although it would be fun. With that idea out of the way I reverted back to the ball and the stickman. This gave me an idea to have a stick man that can kick side to side and also jump but the objective of the casual game would to be keep the ball up (stop from hitting floor). This would involve coding for gravity and also collision as the ball would have to drop to the floor as well as bounce off the player to stay up. This would be a game you can easy play with simple controls of arrow keys to shift the player, space bar to jump and Z to slide or kick left and X to slide or kick right. These controls surely qualify for ease of use and easily learnt. A sense of competitiveness and family game could be incorporated by a count of how many times you have kept the ball up which you could compare with family and friends. This would be my game I am making, I will address any issues with it once I have pitched it to my tutor next week. Categories: Casual Games | Tags: Adobe Flash Professional, Casual game | Permalink. In this session we was introduced to a new module of “Casual Games”, we had a quick PowerPoint presentation on Casual Games as a brief overview as this was our topic that we had to research and find information for ourselves. So what defines a game as casual? A casual game is a game which is easy to learn, easy to play, may have a social aspect (Tetris scoreboard), minimal rules (Tetris make a line with the shapes), easy controls (arrow keys to rotate Tetris shapes), fast opening (small file size so no massive load), easy to access (open using file or free online game). So what are we tasked with, I have to research casual games and where they are from, produce a minimum of 500words outlining the research in a document, create a list defining characteristics of casual games, add visuals where appropriate and Harvard reference it all. Now all I have to do is follow that. The beginning of my research started at a website http://www.casualgamesassociation.org/index.php which is the casual games association. What is the Casual Games Association? The Casual Games Association is an international organization for gaming executives, publishers and developers. Dedicated to promoting casual games for general consumers and providing educational resources for game development, the association hosts annual conferences in Seattle, Kyiv, Hamburg, and Singapore, publishes a magazine three times a year, and issues research reports on the industry. The association was founded in 2005 by members of the casual games industry. Developed for the general public and families, casual games are video games that are fun and easy to learn and play. The games are platform agnostic, meaning they can be played via the Internet, Facebook, PC, and Macintosh computers, Xbox, PlayStation, Nintendo DS, Wii and even mobile phones, iPhone and PDA. They’re nonviolent, arcade-style games that involve puzzles, words, board and card games, game show and trivia. Popular games are Mah-jong, Tetris, Solitaire, Bejeweled, Mystery Case Files, and Farmville. What is the size of the casual games industry? More than 200 million people worldwide play casual games via the Internet. 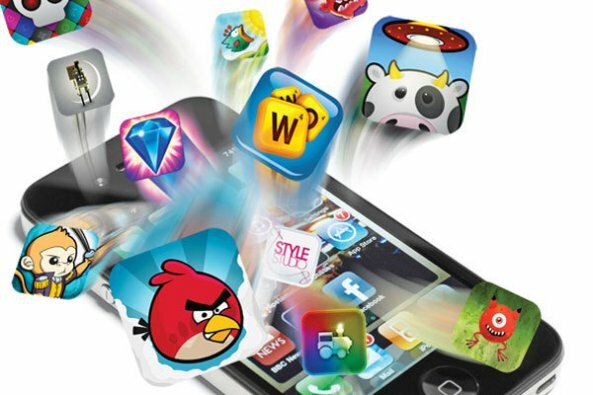 In 2010, the world wide connected casual games industry had revenues of nearly $6.00 billion on mobile, iPhone, social networks, PC, Mac and Xbox LIVE Arcade platforms. Casual games appeal to people of all ages, gender and nationalities. It’s estimated that there are more than 200 million players via the Internet. A majority of those who purchase casual games, however, are over 30 and female. In addition, casual games are usually played for a short period of time, from five minutes to 20 minutes though it’s common for people to play game after game for hours. What’s the difference between casual games and enthusiast (core) games? Think of Atari and games such as Pacman, Space Invaders, Frogger and Donkey Kong. Casual games have maintained the fun, simplicity, boundless creativity that characterizes arcade-style games. On the other hand, enthusiast games also termed core games, such as Grand Theft Auto, Doom and Mortal Kombat, have been developed using high-end technology that appeals more to younger audiences. How many casual game titles are there? Over 400 casual games are developed and launched on major web portals, thousands of iPhone and thousands of social games are launched every year. Typically, the Top 20 games each year generate the majority of the revenue. How much does it cost to develop a casual game? Budgets for casual games downloaded on the internet typically range from 100,000 – 500,000 USD. Budgets for casual games on social networks, such as Facebook, typically range from 50,000 – 400,000 USD. Casual games can be updated to include other distribution platforms. According to the CGA’s 2007 Market Report updating an online casual game for: iPod, mobile & PDA versions cost 20,000 USD, hotel room versions cost 10,000 USD, XBLA versions cost 230,000 USD and handheld versions cost 300,000 USD. Who are the largest publishers (creators) of casual games? Who are the largest distributors and retailers of casual games? What’s the history on casual games? The history is debateable, Pac Man is considered the first ever casual game in 1980 with its fun factor and ease of use. But is it the first ever casual game is the real question to be asked as board games have been round for centuries and most board games fit the title of a casual game, also solitaire is considered a casual game on the computer but solitaire is originated from the game patience which was first printed in 1870 a huge 110years before pacman. Also you can class general play as a casual game so there can be no date labelled to that e.g. being a kid and using sticks to shoot your friends pretending its a gun. Really its what can be defined as a casual game that is the question to be asked as people may consider only digital games to be casual whereas other will suggests any form of imagined game like tig/tag in the park is a casual game. Is their genre’s to casual games? 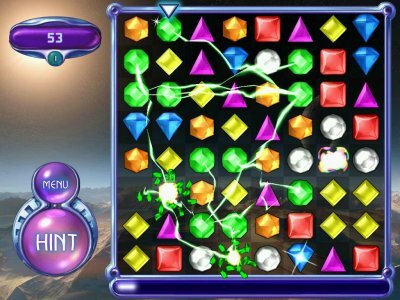 Puzzle Game- Bejewelled, Professor Layton, Candy Crush Saga. Hidden Object game- Mystery Case Files. Strategy game- Diner Dash, Cake Mania. Arcade/ Action game- Plants vs. Zombies, Bloons Tower Defence, Angry Birds. Word/ Trivia game- Bookworm, Scrabble. Card/Board/Mah-Jong game- Lunar Mah-Jong, Solitaire, Uno. Who is classed as a casual gamer? A Casual Gamer is a gamer who struggles to have a chance to play a game or even doesn’t particularly have an interest in gaming but plays occasionally. Casual Gamers tend to favour playing games which where designed for ease of gameplay and don’t need much time to play them e.g. Tetris. The genres that casual gamers play can vary, and they might not even own a games console to play their games in which time they use phones or other such devices or card/board games and even made up party games. 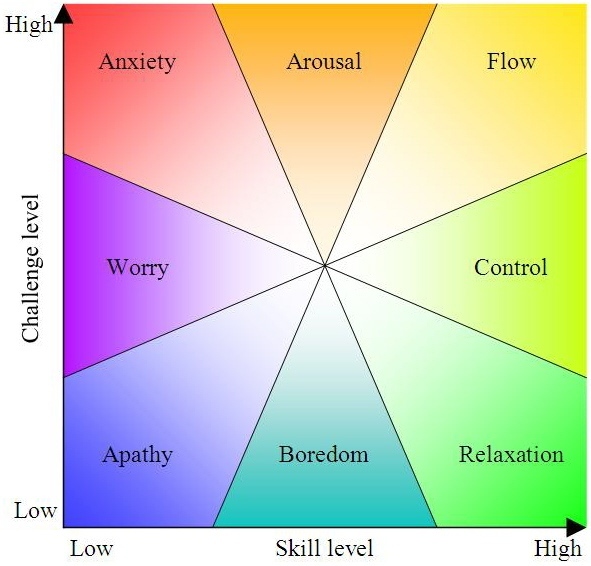 Basically the opposite to a hard-core gamer who spend multiple hours on a game per day/week as their time is allowing them to do this so they can play games with much more attention needed. So this is my research on casual gaming underway I will be adding to this as I progress in the subject and come across new things in my research. In this module I will be creating my own casual game in flash (flash blog). Websites used: http://www.casualgamesassociation.org/, http://en.wikipedia.org/wiki/Casual_game#Casual_gamer, http://www.facebook.co.uk and http://www.gamezone.com/originals/2011/09/27/the_new_face_of_casual_games. Categories: Casual Games | Tags: Casual game, Casual Games Association, Gameplay, Games, research, Video game | Permalink. Todays lesson on Casual Games we was introduced to software that we will be using this software was Adobe Flash Professional. My previous experience in flash is very limited, all i have done in flash throughout my education was a interactive quiz for my OCR Nationals Level 3 ICT which was a short project to asisst our unit, this had limited features but it did use alot like a scoreboard, scoring marks, buttons, back/forward buttons and a replay button. This leaves me with the basics but not much, i certainly wouldnt class myself as knowing my way around flash. To get us all started we was told to check out the Flash Tutorial on the adobe website, this tutorial involved the basics of flash to get us used to it. The task was to get a ball to bounce on and off the screen in one simple movement. I created my ball and always knew about motion tweens and how they worked so instead of doing the bounce i decided to do a flying loop with my ball. This as you can see worked perfectly well but i wanted to test my skills in flash and motion tweening so i drew a stick man which then lead onto the stick man spinning jumping and kicking the ball off the screen. This pleased my as i successfully motion tweened 2 layers together to make one flash movie clip, but the dissapointments was i wanted to have more animation on the stick man so he for example bent his knee when jumping and maybe some arm action; due to me not knowing how to do this at this stage i was unable to do it. Now i had my finished flash a stickman spinning then jumping and kicking the looping ball off the screen. The next step was to venture into the dreaded world of scripting and coding to enter a “stop” code, this would prevent the flash from constantly looping round so you could stop the script. This was fairly easy as it was a simple “stop () ;” code nothing else was required. I tested it and it worked perfectly but now when the flash had finished it was just stuck and you had to close and reload the clip to watch it again. This required me to do the next step of the tutorial which was replay button, once again the scripting and code world loomed over me like a bird of prey (im not sure if you have noticed that im not a fan of scripting) but fortunately for me this time the code was provided on the tutorial so it was a lucky escape. Due to the code being given there was no issues and the replay button was successful. This terminated my flash project as i had finished all that was left to do was to publish and then export. I exported it onto my Youtube page so that i could embed it into my blog for you readers to have a look. This was the beginning of experimenting with flash as between now and next lesson we have been issued with a optional task of making a flash project in which a circle is directed using the arrow keys on the keyboard. This would purely be to make a next step in flash design as next week we have to pitch our ideas for a casual game. Categories: Casual Games | Tags: Adobe Flash Professional, Casual game, Flash animation, Scripting language, Tutorial, Tween | Permalink.